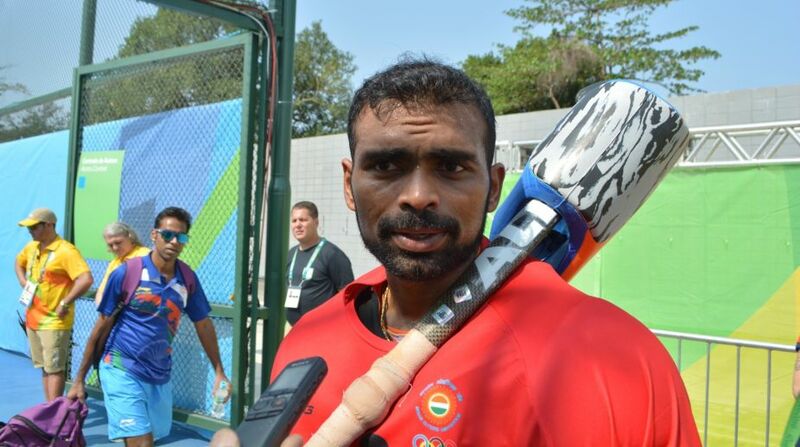 PR Sreejesh will lead an 18-member Indian hockey team at the 26th Sultan Azlan Shah Cup. Star custodian PR Sreejesh will lead an 18-member Indian hockey team at the 26th Sultan Azlan Shah Cup in Ipoh, Malaysia, starting April 29. Manpreet Singh will be Sreejesh's deputy in the squad that also has members from the junior World Cup winning squad. Defender Gurinder Singh, midfielders Sumit and Manpreet were a part of the Junior World Cup winning squad and are slated to make their debut at the tournament. The 21-year-old goalkeeper from Mumbai Suraj Karkera who was part of the junior squad that toured England in 2016 and participated in the EurAsia Cup in Russia and the Four-Nations Tournament last year, too finds his name in the team. Ahead of the national camp for the senior men's core probable group, chief coach Roelant Oltmans had emphasized on giving juniors the right exposure with a vision of building a team that would bring laurels in the 2018 World Cup and 2020 Tokyo Olympics. As a first step towards that goal, the Chief Coach has inducted these youngsters from the junior men's team. The team also features drag flicker Harmanpreet Singh, Junior World Cup winning skipper Harjeet Singh and forward Mandeep Singh. The trio, who were instrumental in the Indian team's success at the Junior World Cup, have played at the Sultan Azlan Shah Cup in the previous edition where India won a Silver after losing to Australia in the Final. “The idea was to try out new combinations ahead of the three important tournaments this year, which are the World League Semi Final, Asia Cup and the Odisha Mens Hockey League Final Bhubaneswar 2017,” explained Oltmans. “We have a few tournaments before these big events like we play Belgium and Germany before we play the World League Semi Final and we play Belgium and Holland in August. These are good opponents against whom we can test ourselves to access whether the players are achieving what we expect out of them, he said. Experienced Sardar Singh, Chinglensana Singh Kangujam, Harjeet Singh, Sumit and Manpreet will be manning the midfield. The defence includes Rupinder Pal Singh, Pardeep Mor, Surender Kumar, Harmanpreet Singh and Gurinder Singh while the forwardline is formidable with S.V Sunil, Talwinder Singh, Affan Yousuf, Akashdeep Singh and Mandeep Singh. “We will bring a team to Malaysia which is a mixture of experienced and young players some of whom have played in the senior squad earlier. It is a challenge for us to see where we stand with the new team combination compared to other teams like Australia, Great Britain and New Zealand,” said Oltmans. The coach feels that some of the opposition teams will not ring in too many changes. “They also will bring new players. I dont expect Malaysia and Japan to have too many changes in their teams and I think they play the same players as they did at the Asian Champions Trophy last October,” said Oltmans. The tournament will give an idea of how things are progressing. “It will be interesting to see how these teams are developing and also access our own progress. We need to pay attention to the structure we are looking for and it takes time to make everyone aware of what the demands of the structure are specially when new players are coming in. “Though most of them are responding very well, I believe there will be some ups and downs in the tournament but the aim is to have the best possible result,” Oltmans concluded. Squad: Goalkeepers PR Sreejesh (C), Suraj Karkera; Defenders: Pardeep Mor, Surender Kumar, Rupinderpal Singh, Harmanpreet Singh, Gurinder Singh; Midfielders: Chinglensana Singh Kangujam, Sumit, Sardar Singh, Manpreet Singh (VC), Harjeet Singh, Manpreet; Forwards: SV Sunil, Talwinder Singh, Mandeep Singh, Affan Yousuf, Akashdeep Singh.